Finest quality maple worktops manufactured to highest standard at the most reasonable prices online, carefully selected to ensure uniform colour and perfect match. Sometimes known as Rock Maple or Hard Maple, this iconic tree from the Acer family originates from the North eastern region of North America and is the state tree of four American states. Maple worktops wood is a species named Acer saccharum and the wood has a soft, pale, creamy white colour with a straight grain. Maple wood is used in sports halls and schools across America and Europe and its proven durability makes it an excellent choice for kitchen worktops. Maple was historically the wood of choice for kitchen worktops and butcher blocks. Today, Maple worktops wood makes a stylish design statement with its soft, pale colour and even tone. 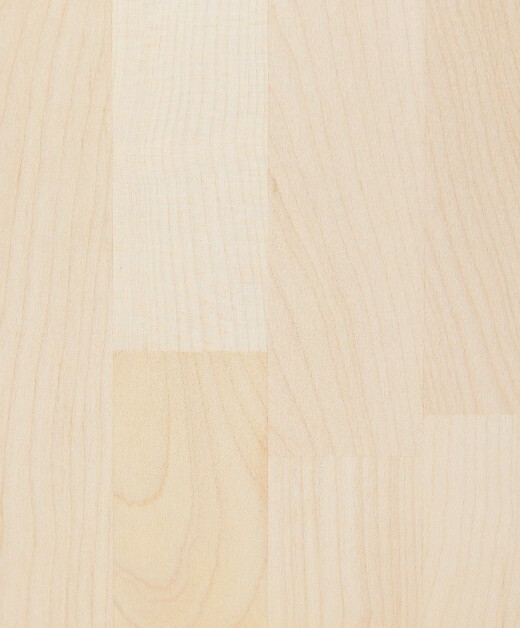 We recommend Maple for its durability and the stylish clean lines it adds to any overall kitchen design.